Flooding along the Russian River in late February and early March saw some 2,000 business and residences in Sonoma County and turning the towns of Guerneville and Monte Rio into islands cutting them off from all forms of land access. The river exceeded 45 feet in Guerneville and recorded the highest level since 1995. The atmospheric river that stalled over the region caused catastrophic flooding inundated some 2,000 businesses and residences, forced the evacuations of about 3,500 people and killed one person. Gov. Gavin Newsome declared a state of emergency. As businesses and residents begin the arduous task of cleaning up and attempt to restore their lives, Novato-based DriveSavers has come forward offering free data recovery services to Russian River flood victims. The company is worldwide leader in data recovery services. Eligible devices include external hard drives, desktop computers and laptops. DriveSavers is donating their time, resources and years of expertise to provide up to $1,000,000 worth of data recovery services from Russian River water-damaged hard drives. The offer is limited to one device per business or household. The company has indicated that because exposure to water and air can cause corrosion on circuitry, customers must contact DriveSavers and ship devices no later than April 30, 2019. If Russian River customers need additional recoveries, and those with multi-drive devices such as RAID, NAS and SAN devices, are eligible for a 50% discount off regular service fees. DriveSavers’ data recovery advisors are available by phone seven days a week. 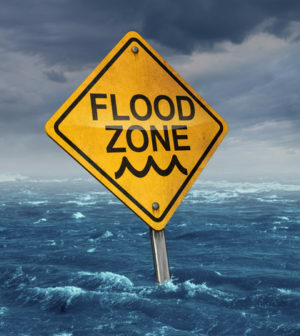 Flood victims wanting to avail themselves of data recovery services should call DriveSavers immediately at 800.440.1904 or visit www.drivesaversdatarecovery.com.